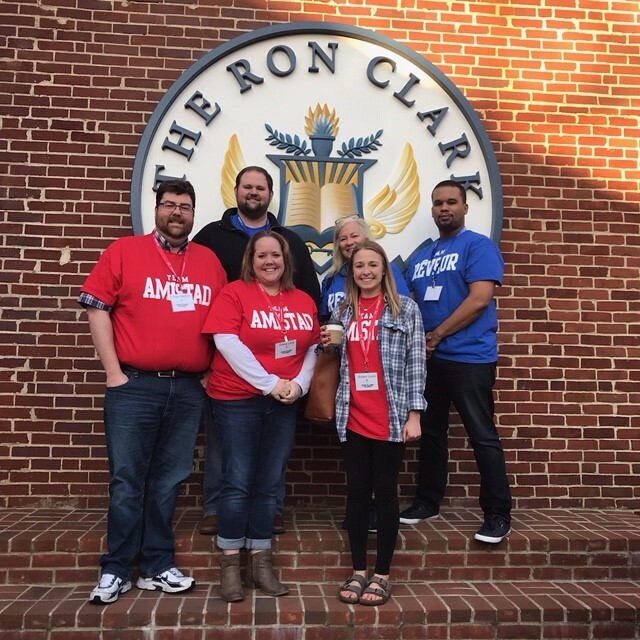 Houston Middle continues its commitment to the house system with teacher field trips to the Ron Clark Academy. Germantown, Tennessee--March 25, 2019--Houston Middle School is in its second year of implementing their Mustang House system based on their experience at the Ron Clark Academy. Six more teachers (Mr. Haynes, Mr. Shirley, Ms. Lang, Mrs. Spurlock, Ms. Justin and Mr. DePina) experienced this incredible professional development opportunity this past week and saw first-hand unique teaching techniques and the importance of high expectations. HMS was able to bring Kim Bearden to HMS earlier this year making this visit seem even more meaningful to these teachers. Ms. Lang was so impressed that she was sending text messages to Mrs. Dias during the visit as she could hardly contain her excitement. “Seeing the way RCA incorporates very common sense techniques such as movement and song has given me so many ideas of how to reinforce what we are doing at HMS,” states Ms. Lang. Mrs. Dias feels that when teachers come back from RCA it excites us all again and keeps us focused on the magic of what teachers do.